Experience your ultimate ocean adventure during an unforgettable week in Hawaii! Each Morning we will go downwind paddleboarding. Whether you are ready to try a downwind run for the first time, learn more about ocean conditions, surf open ocean waves, or push your skills to the next level, we can help you do it and have a lot of fun at the same time. The week is built around downwind paddling. Oahu has fun and challenging runs for every paddler from advanced beginners to experienced paddlers. All you need is basic experience with paddleboarding and an adventurous attitude and you will leave the retreat a stronger and more well-rounded paddler. 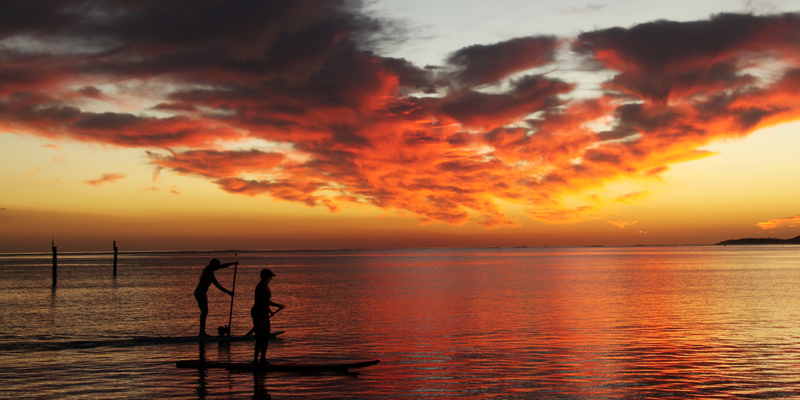 To make the most of your experience here in Hawaii, it is important that you have a basic knowledge or and at least some experience either prone paddleboarding or standup paddleboarding. It is also required that you have basic swimming skills. Downwind paddling is the priority of this retreat, but why stop there? Each afternoon, we will have you sunset sailing along the Waikiki coast; snorkeling and freediving the incredible reefs alongside sea turtles and other marine life; and surfing, hiking, and paddling some of Oahu’s best kept secret spots. Worried about not having paddling buddies to travel with? Well, don’t be. This retreat comes with a built in set of new friends to paddle with. This retreat is a great trip for a group of friends, but is also a good reason to travel alone. As much fun as adventuring is, we realize that this is your vacation week. You are encouraged to take advantage of all the provided opportunities, but are welcome to participate in as much or as little as you want. If you feel like an afternoon break, you can always relax by the water, hang out in your room with a good book, or paddle around in the bay in front of the house. 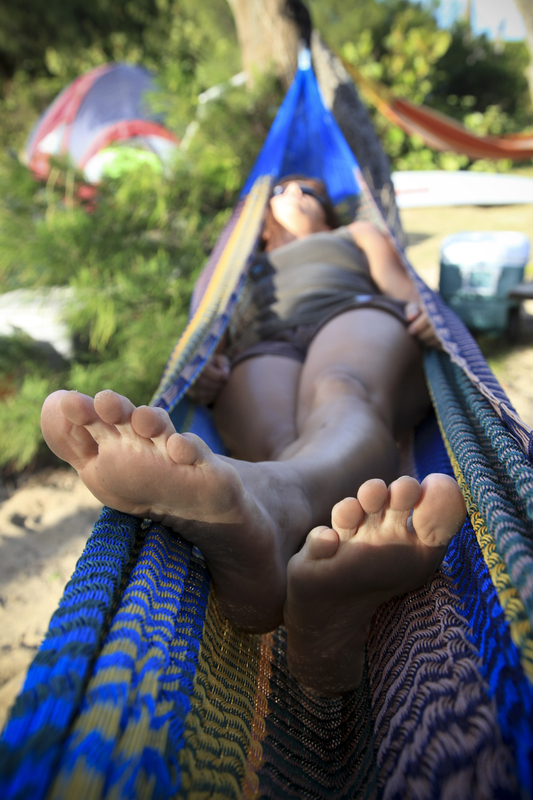 relaxed feet vs. hiking feet. Your choice. One of the best side effects of paddling downwind is how quickly it can help get you into shape. Daily downwind runs will help improve your endurance level, which is a nice added bonus to all of the fun you will be having. Having said that, the focus of this week is to have a fun and adventure-filled week on Oahu while adding to your existing paddling skills.